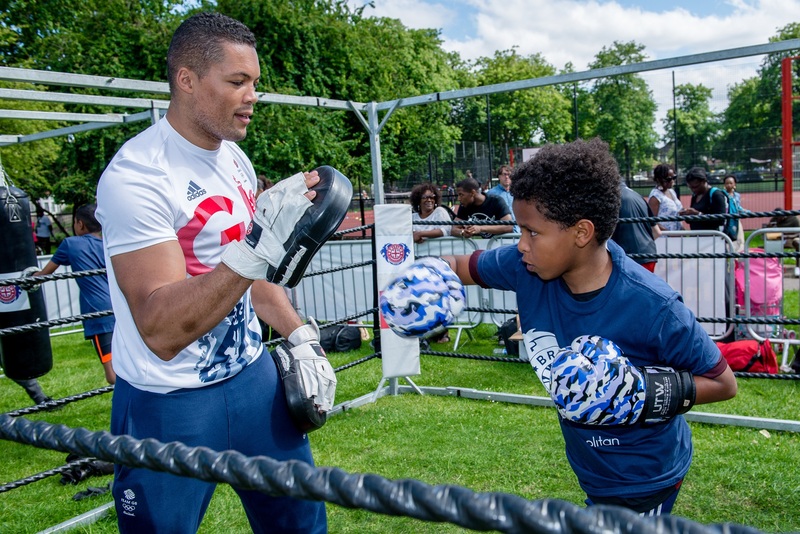 Hundreds of young people from South London got in the ring with Olympic boxing silver medallist, Joe Joyce, at the Clapham Fest community sport and fun day last weekend. 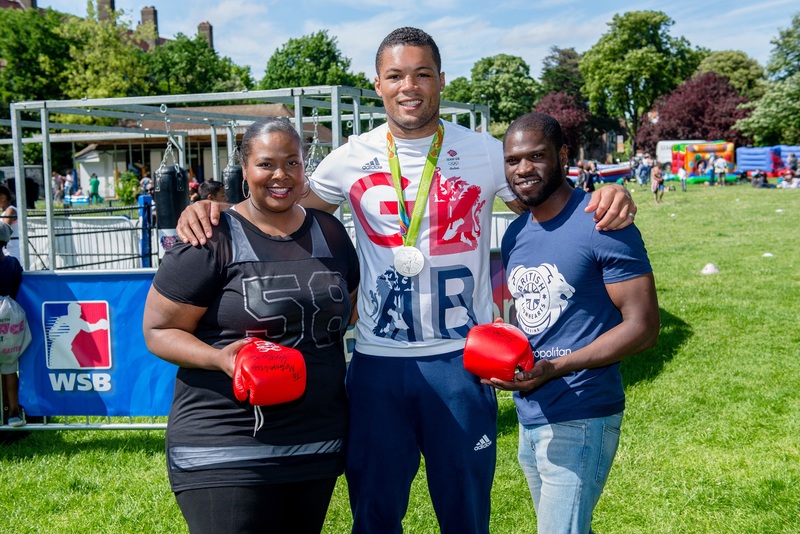 The free event, which was hosted by housing association, Metropolitan, at Agnes Riley Gardens in Clapham, attracted people from across South London who came along to get some boxing tips from the Team GB boxer and have their photograph taken with the silver medal he won in Rio. A film about Clapham Fest can be viewed here. Joyce, who was born and raised in South London and lives in the borough of Wandsworth, said: “It’s great to have the chance to give back to the community and help to inspire the younger people coming through. “Events such as Clapham Fest are a great opportunity for people to get involved in boxing. It gives them a taste and they can then go and join a boxing gym, possibly even start competing, and maybe even end up on Team GB. The level of boxing that I saw was good. I was giving people a few pointers and taking them on the pads and the people – young and old – seemed to enjoy it. 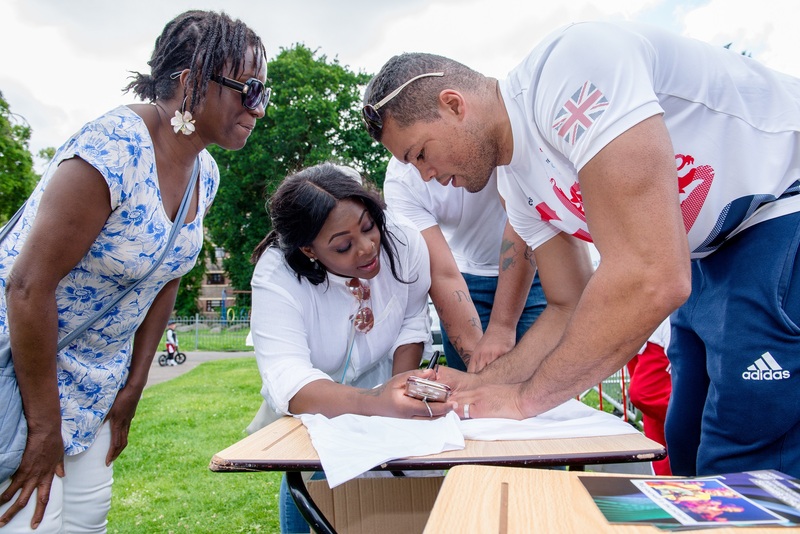 The activities available on the day featured a mobile boxing ring which was brought along by the award winning community sport project, British Lionhearts in the Community. The ring was staffed by qualified England Boxing coaches and gave attendees the opportunity to learn some basic boxing technique and have a go at skills such as hitting a punchbag or padwork with Joe Joyce or one of the coaches. The day was also memorable for south Londoner Charlie Sturrock, 11, who was presented with a trophy by Joyce for showcasing some fine boxing skills. 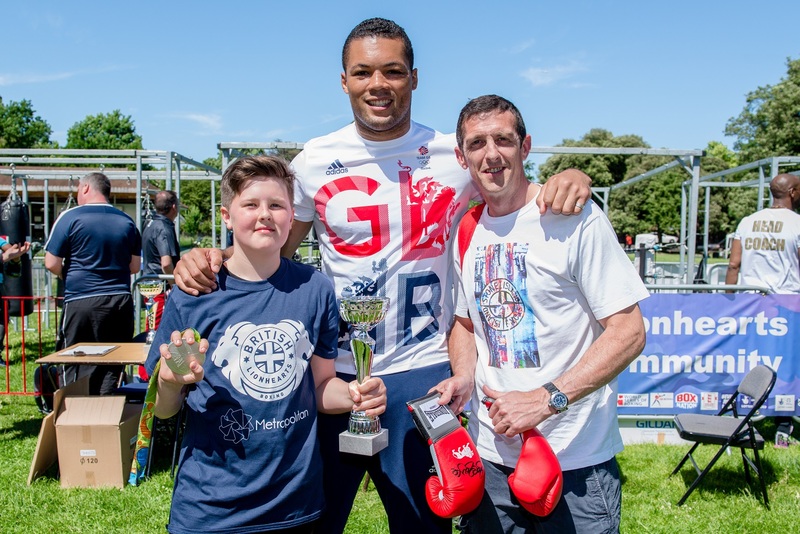 Charlie said: “It was really fun to box with Joe Joyce, because it’s not every day that you get to box with an Olympic boxing silver medallist. He gave me some tips, he taught me to keep my hands up when I’m boxing and keep them close to my face. Clapham Fest was hosted by Metropolitan, who showcased a range of other free services for residents as part of the day including support around employment, personal finances, and health and wellbeing. Emmanuel Coker, Employment Coordinator at Metropolitan, explained: “We knew that someone like Joe Joyce would attract our residents and show them that if they put their mind to something, they can do anything.